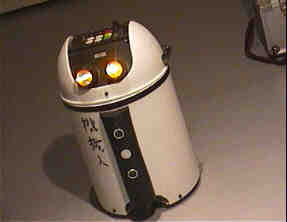 This robot is made of a small garbage can. It is IR remote controlled and has RAM memory. it "sees" something in front of it. It took a year to build and costed aprox. $400.